South Korean Celebrity Chef and restaurateur Edward Kwon came to Shangri-la Jakarta not too long ago to promote Flavours of Korea, one of the many gigs that he has done to promote Korean cuisine to the world. Shangri-la Hotel Jakarta has long been one of the favourite havens for foodies in Jakarta, with its signature and award-winning restaurants, as well as continuous effort to offer novel stuff for foodies in Jakarta to try. So I wasn't surprised to learn about the FLAVOURS OF THE PHILIPPINES FESTIVAL last year and again this year, with slightly different events line up and featuring a different country, South Korea. 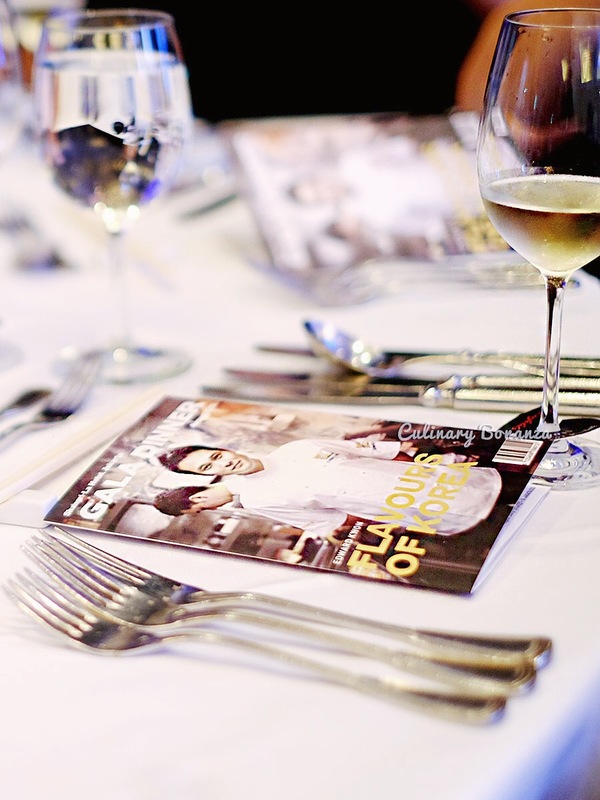 Flavours of Korea was a few days long affair, featuring South Korea's Celebrity Chef Edward Kwon, who cooked special one-time dinner events at Rosso, Grand Ballroom and SATOO restaurant. 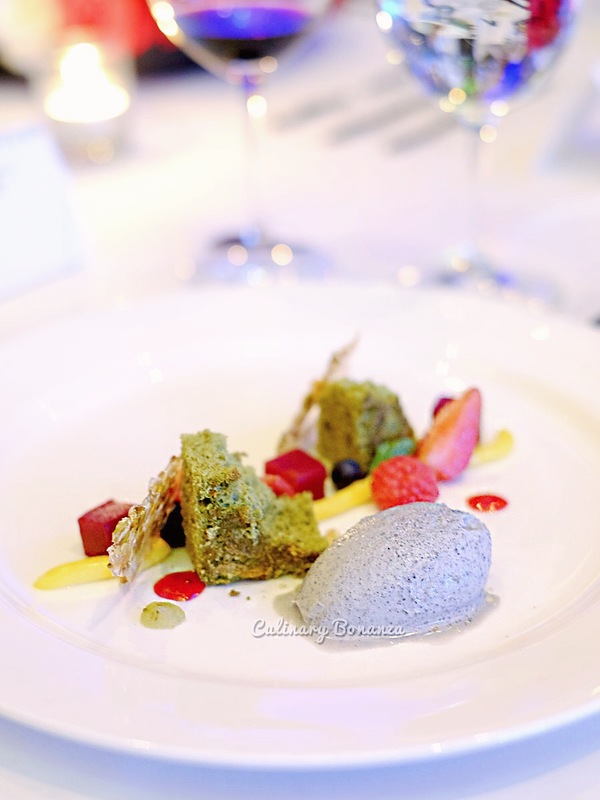 I felt beyond humbled to be invited for this once-a-lifetime experience, to try out Chef Kwon's modern Korean creations at the Grand Ballroom. The dinner itself was a big affair, and was attended by some politicians, diplomats, the Ambassador of South Korea to Indonesia and the embassy's other VVIP guests, whom I can't name. About Chef Edward Kwon himself, while his name is probably not as much heard of as the other celebrity chefs seen on cable TV, but back in South Korea, Chef Kwon's hosted various TV and radio shows, and not to forget to mention his stellar career at international properties, such as Hotel Head Chef at Burj Al Arab in 2007 (just to name a few). 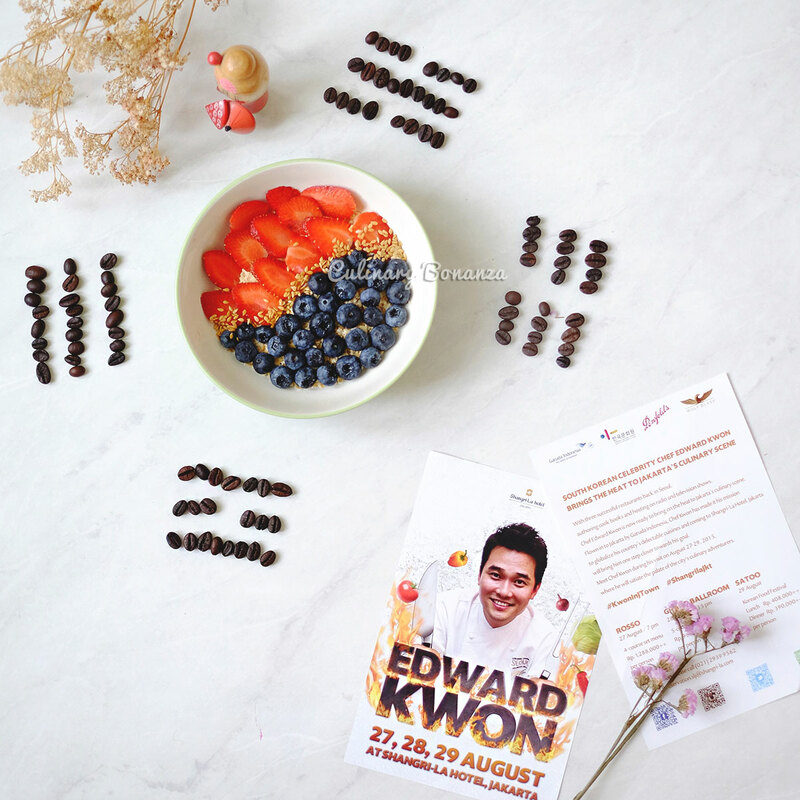 More about Chef Edward Kwon, click here. There were performances that evening, such as a Jazz music band, Indonesian Taekwondo team, modern dance, children's choir, etc. 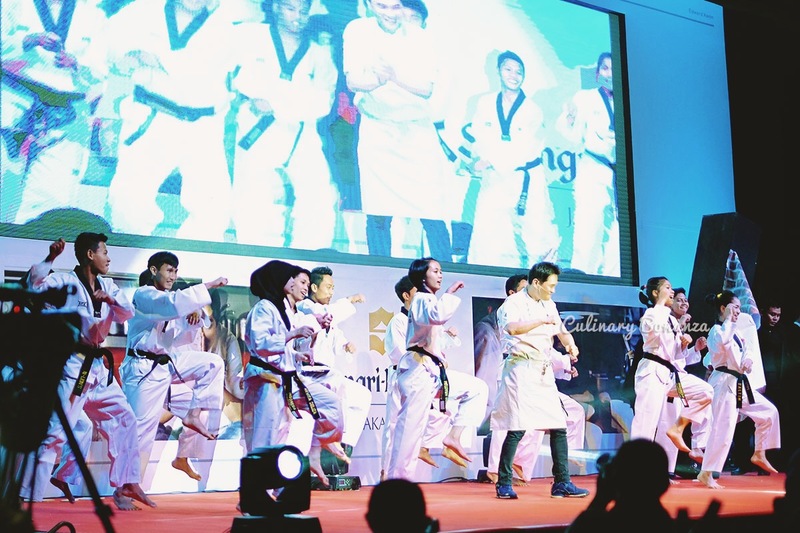 Oh, Chef Kwon is such a good sport that he even joined the Taekwondo troupe dancing to 'Gangnam Style' song! Before the first dish was served, Chef Kwon also did a demo on the cooking stage, where he showed us how to whip up a simple, delicious and healthy dish which happens to be first dish served that evening. 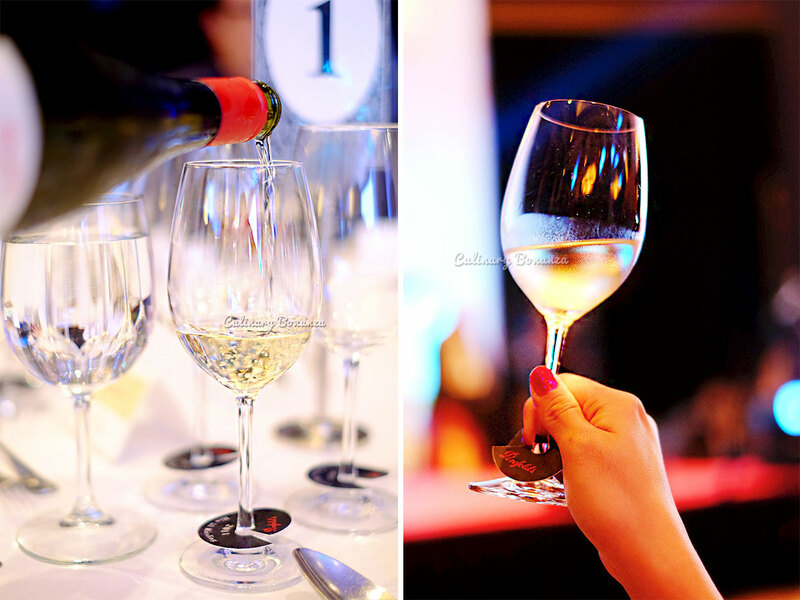 It turns out Korean food can be paired with not only soju, because wines too, when selected and paired properly, proved to be possible (even great) matches! 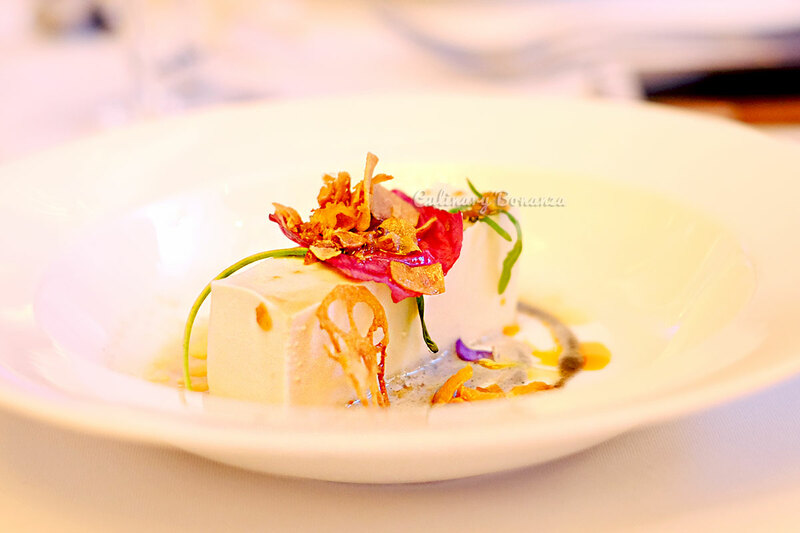 1st dish: Soft Bean Curd served with Korean herbs, black sesame dressing and crispy garlic. I like the combination of the dressing, light yet creamy at the same time, the black sesame makes it very Korean. 2nd dish: Rice Veloute served with potato pearls, sweet potato cream and pine nuts. It was said to be inspired by the same dish that was once served to the Korean emperors back then. 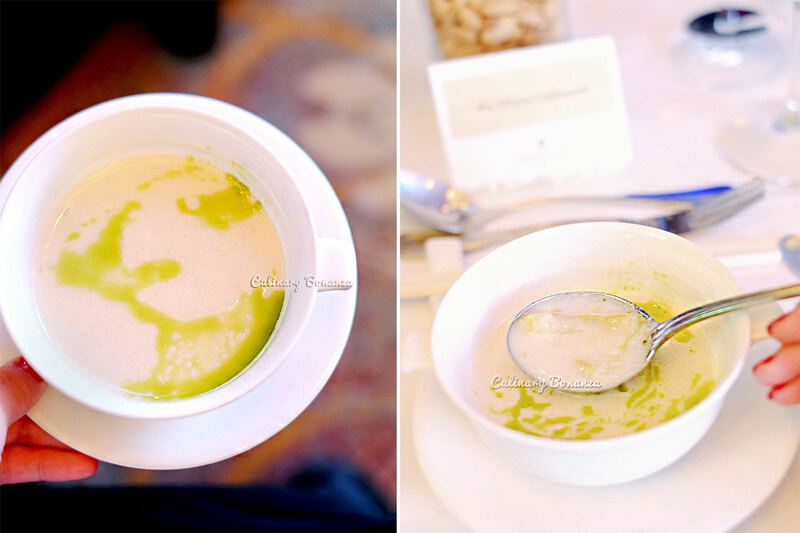 It's an interesting veloute, savoury, but the sweet notes are more dominant, like the sweet version of creamy potato soup, but this is made with rice instead. 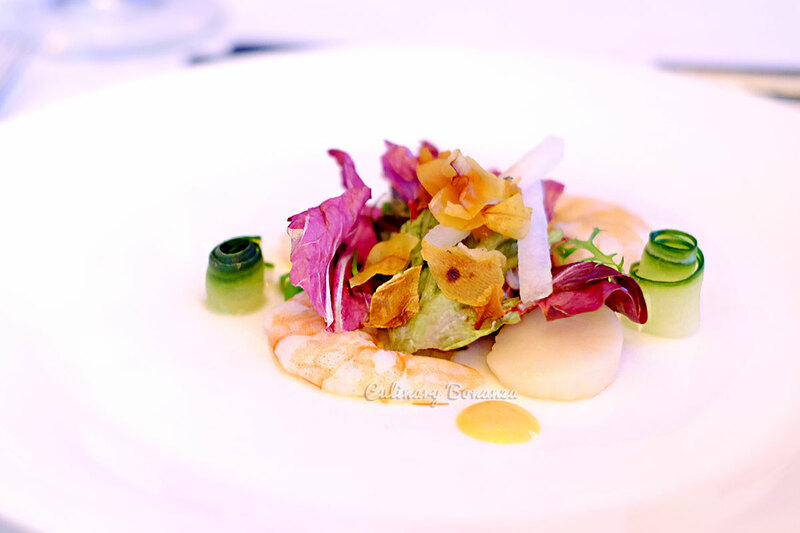 3rd dish: Hae Mul Nang Chae (Korean-style ceviche with tiger prawns and scallops) served with mustard dressing and perilla dressing. 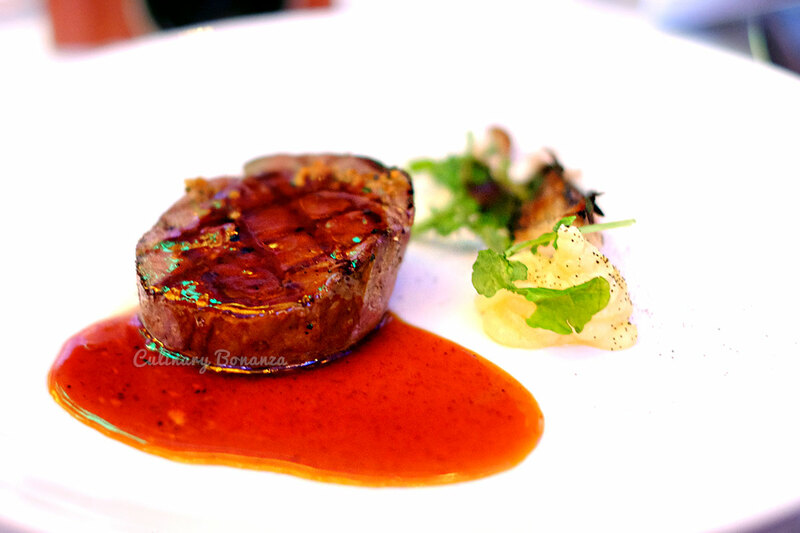 4th dish: Kalbi Steak (Soy-marinated Beef Rib Eye) served with kimchi chutney, pomme puree and root vegetables. Oh yes, the kalbi steak lived up to the taste it promises. 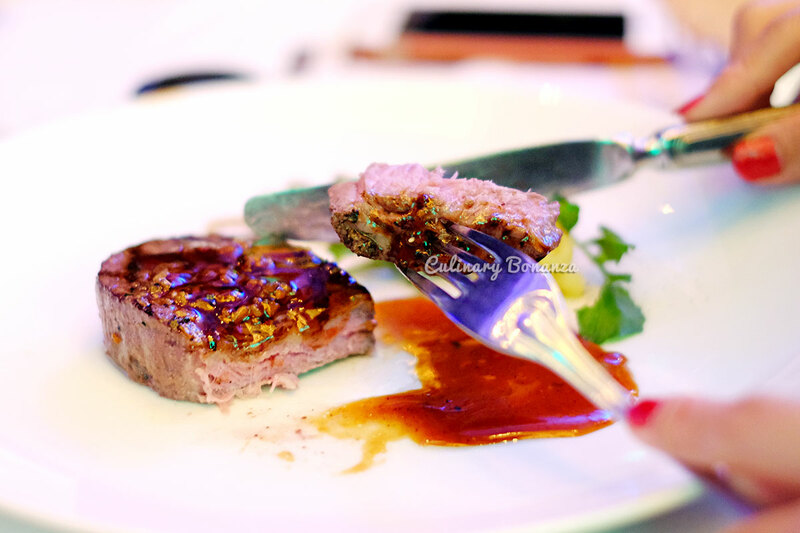 Incredibly tender steak, and the kimchi chutney's a brilliant complement to the already juicy meat. This was my favourite dish for the evening for sure! 5th dish: Yuzu Curd served with Bokbunja chiffon, green tea and basil gel. My favourite part of the dessert? The black sesame frozen custard! Thank you Shangri-la Jakarta and Chef Edward Kwon for the wonderful evening, delectable modern Korean dishes paired with fine wines, it was certainly an evening to be remembered! For your info Chef, Indonesians really love Korean culture, apparently, from the food, music, to the fashion style, so Chef Kwon, anytime you feel like to, Indonesia will always welcome you with warm smiles and open arms!